Emotions shape all aspects of our thinking and behavior, particularly when we communicate with others. How does our brain respond to emotions conveyed by picture media, human faces, voices, and written language? How do we integrate this information in social interaction? What goes wrong in the brains of people suffering from emotional disorders? This book reviews modern neuroscientific and psychological research providing answers to these questions. 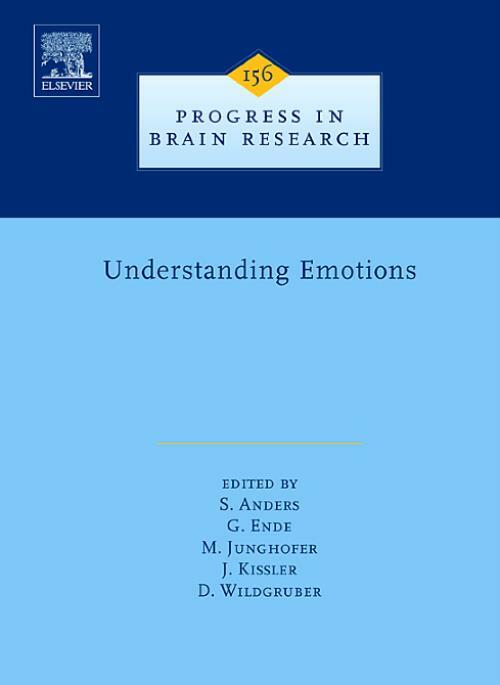 In this volume, leading researchers give comprehensive overviews of the current knowledge on different aspects of emotional perception and the underlying brain mechanisms and highlight outstanding research questions for the future. This book provides essential information for other researchers in the fields of affective and cognitive neuroscience as well as for advanced students. Section I. Attention and Motivation in Emotional Decoding. Emotion, motivation and the brain: reflex foundations in animal and human research. Implicit and explicit categorization of natural scenes. Dynamics of emotional effects on spatial attention in the human visual cortex. Teh neural basis of narrative imagery: emotion and action. Subliminal emotion perception in brain imaging: findings, issues and recommendations. Section 2. Understanding Emotional Language Content. Event-related potential studies of language and emotion: words, phrases and task effects. Emotional connotation of words: role of emotion in distributed semantic systems. Macroscopic brain dynamics during verbal and pictorial processing of affective stimuli. Section 3. Understanding Emotional Intonation. Intonation as an interface between language and affect. Cerebral processing of linguistic and emotional prosody: fMRI studies. Affective and linguistic processing of speech prosody: DC potential studies. Lateralization of emotional prosody in the brain: an overview and synopsis on the impact of study design. Psychoacoustic studies on the processing of vocal interjections: how to disentangle lexical and prosodic information? Judging emotion and attitudes from prosody following brain damage. Section 4. Integrateing Social Information. Processing of facial indentity and expression: a psychophysical, physiological and computational perspective. Investigating audiovisual integration of emotional signals in the human brain. Role of the amygdala in processing visual social stimuli. Towards a unifying neural theory of social cognition. Empathizing: neurocognitive developmental mechanisms and individual differences. The multiple facets of empathy: a survey of theory and evidence. Section 5. Understanding Emotional Disorders. Partly dissociable neural substrates for recognizing basic emotions: a critical review. Integration of emotion and cognition in patients with psychopathy. Disordered emotional processing in schizophrenia and one-sided brain damage. The biochemistry of dysfunctional emotions: proton MR spectroscopic findings in major depressive disorder.